Well well....we all made it to 2013 with only a few scratches! I have decided that this is the perfect time to write about a few things that I am hopeful for in the new year...and I know how much everyone LOVES lists..so here is my list for 2013. 1. The cancellation of Honey Boo Boo. I'm not kidding. Since when did we allow such ridiculousness on television? And since when did it become okay and popular for an obese child to prance around and make jokes about how she and her family eats spaghetti and ketchup? I find it utterly repulsive. And we wonder why the majority of American's are overweight or obese? Well, we are entertained by it. There is part of the answer. 2. Old Habits Dying...Easy. Nowadays, there are no excuses for cigarette smokers. There are endless options from cold turkey to help groups to prescription medication, such as Chantix. There is no reason as to why ANYONE should be smoking anymore. When I see someone smoking I just want to scream. It is your responsibility too..if someone you know is a smoker, you must help them! Old habits no longer die hard, they die much easier. 3. Positive Attitudes. Look, I can get as ticked off as the next person, but in general, I have quite a positive attitude. Even when my grandmother in Georgia asks about me she says.."Is that Tiff still smiling?". It's true. I am always laughing, smiling or making a joke. If you can't enjoy life, what's the point? People that complain just to complain, argue just to argue, and are all around just negative...need to find their way out of your life. Me? Well, I just don't talk to those people. Simple. 4. 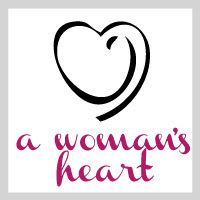 Women's Heart Health. 2013 is the 10th anniversary of the Go Red for Women campaign...and it is OUR YEAR! 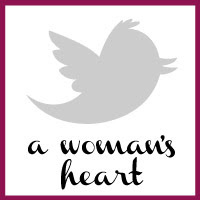 My wish is that all women acknowledge that heart disease is their number one killer and they begin to do something about it!! Annual physicals, knowing your numbers, daily exercise..there are so many things that we can all do to make our hearts healthier..so get out and do it! 5. Animal Adoption. Not kidding! If you don't have an animal..you should! Research has shown that not only do pets enhance mood, but that pet owners had less heart disease, less incidence of stroke, lower cholesterol, and even better immunity. If for no other reason...a furry friend can make a great workout partner! 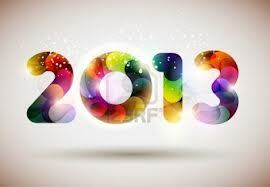 Here's to hoping 2013 will be your healthiest and happiest year yet!